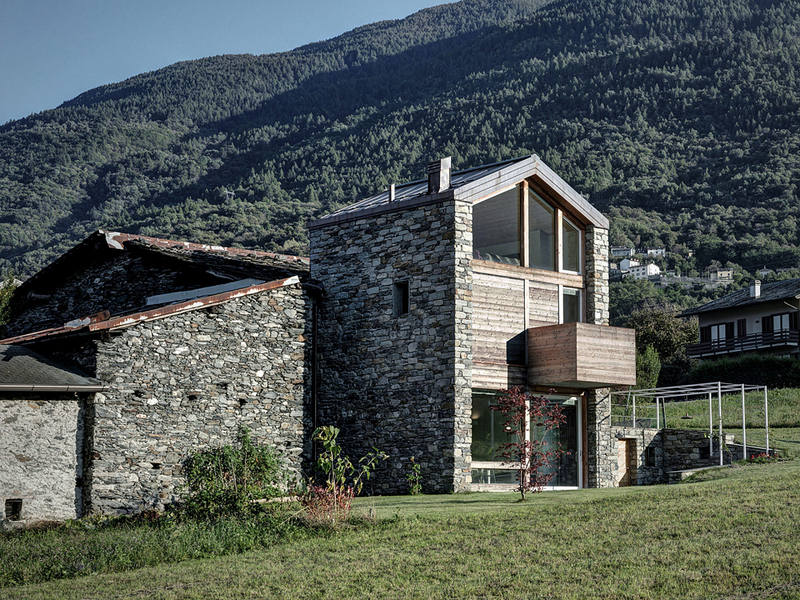 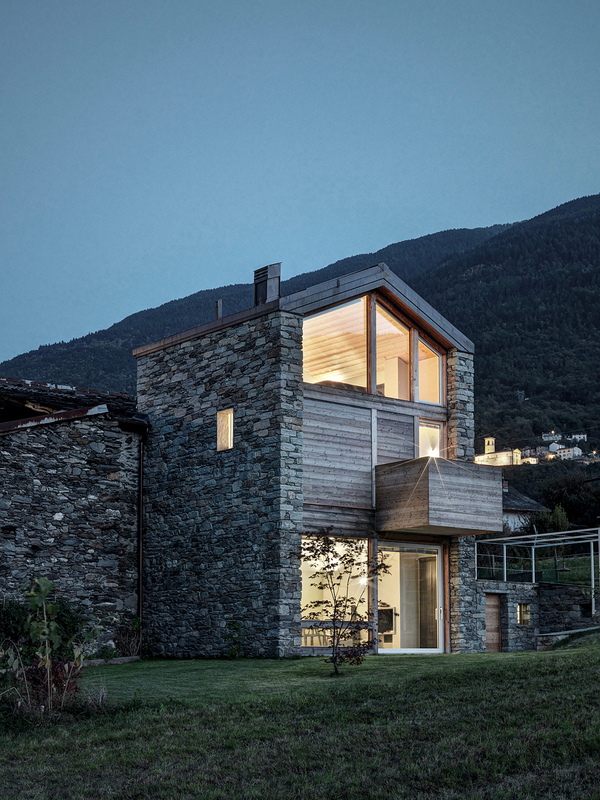 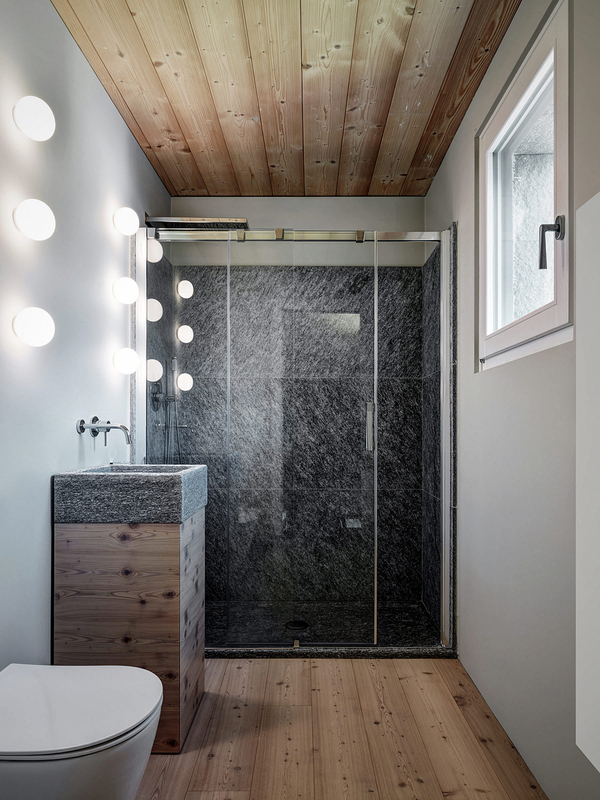 Natural stone, wood and glass are used by architect Rocco Borromini to build a modern house that reinterprets tradition and creates a strong connection with the surrounding dwellings. 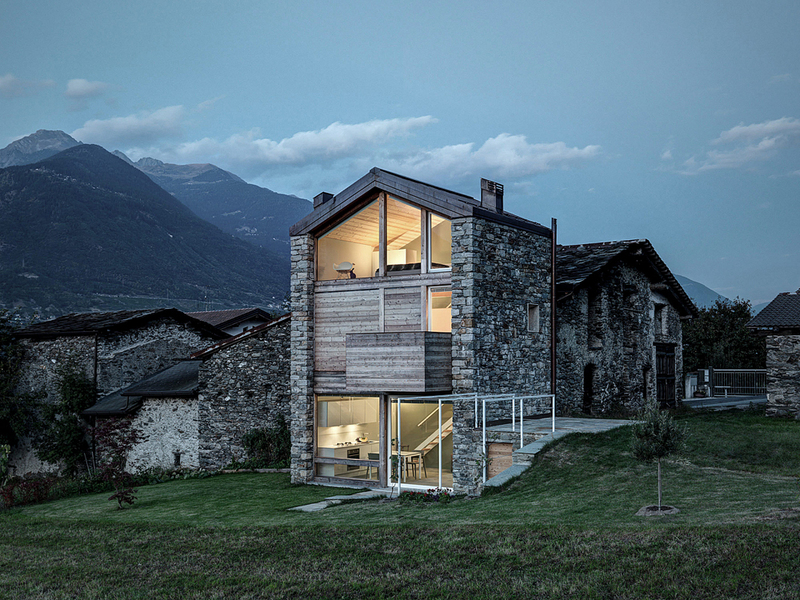 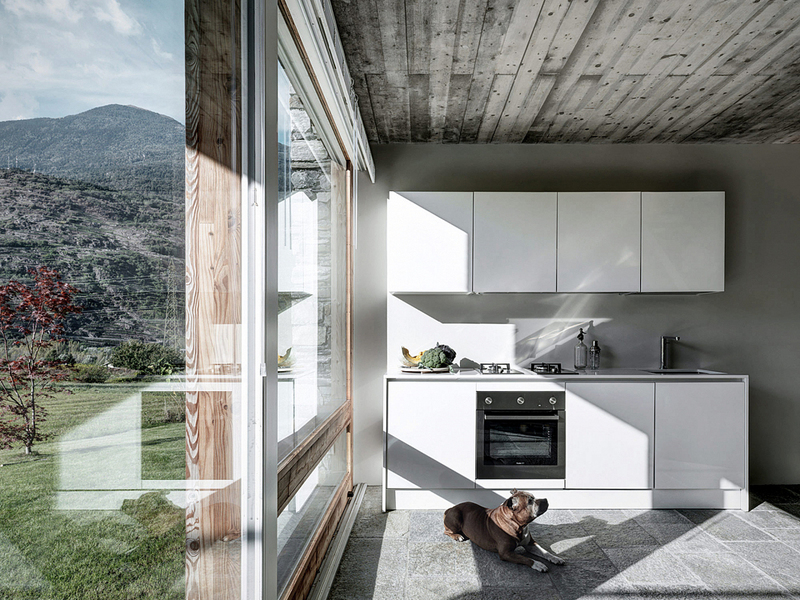 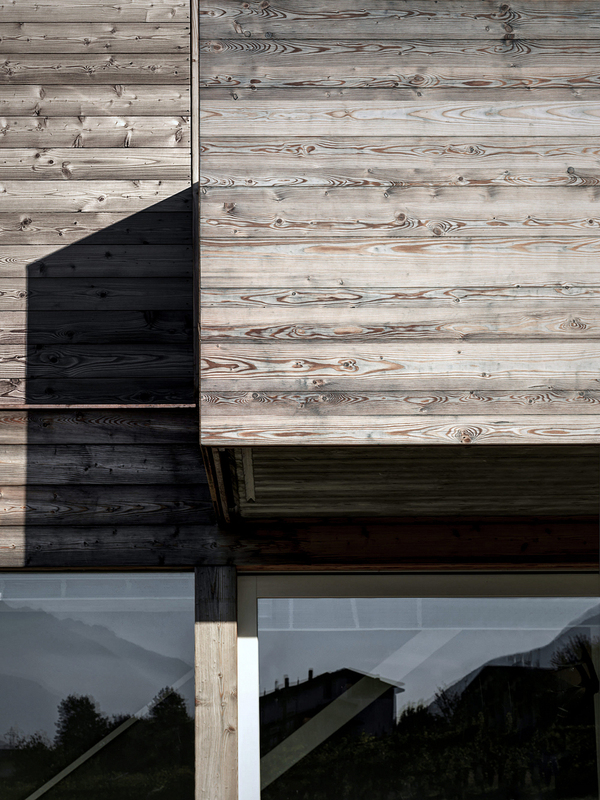 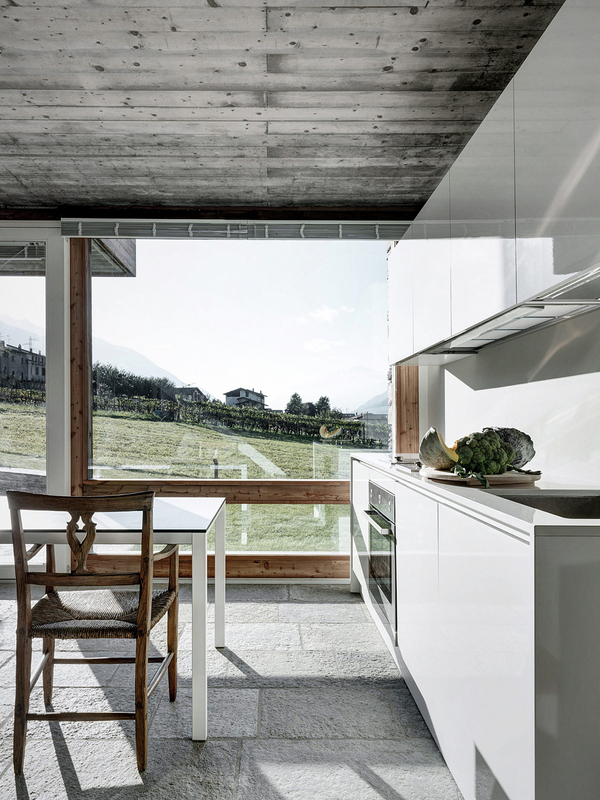 Located in Albosaggia, Italy, SV House enjoys stunning views of the Alps. 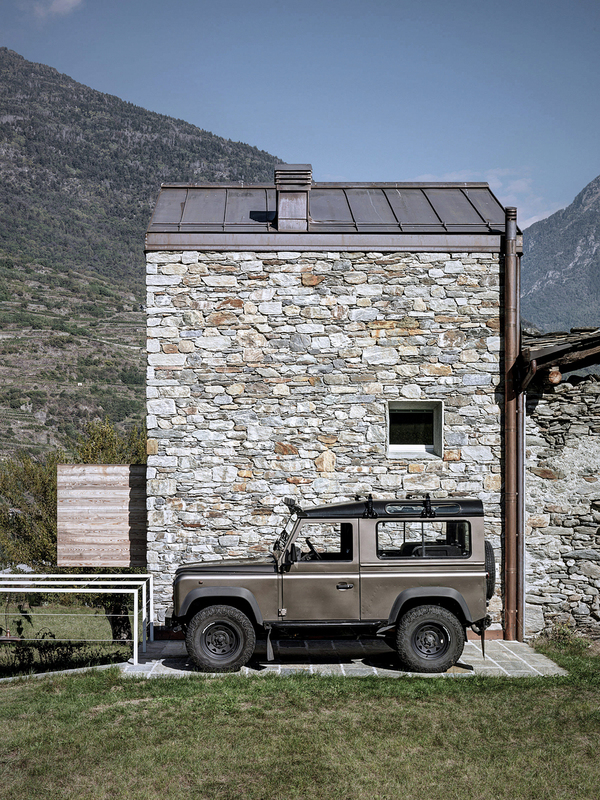 It is built on the ruins of an old rustic structure and follows the same simplicity in design as vernacular architecture, with an emphasis put on modernizing the traditional silhouette. 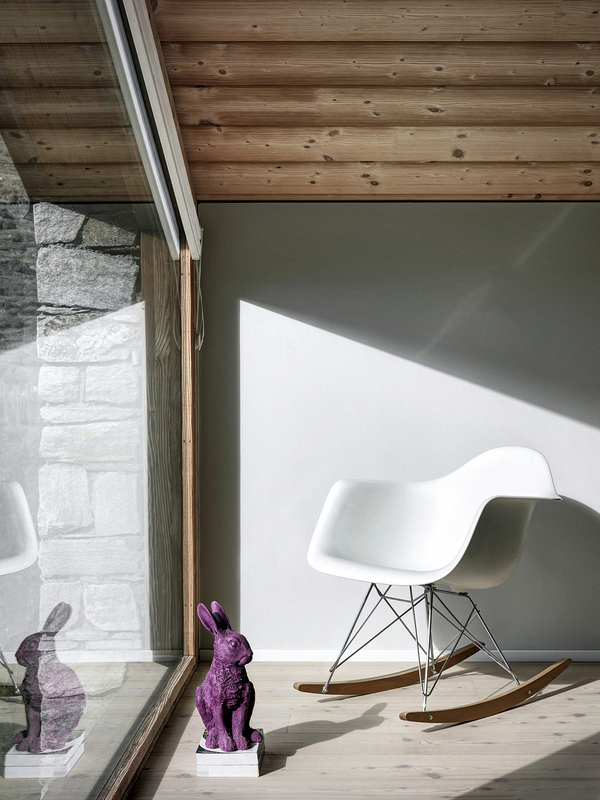 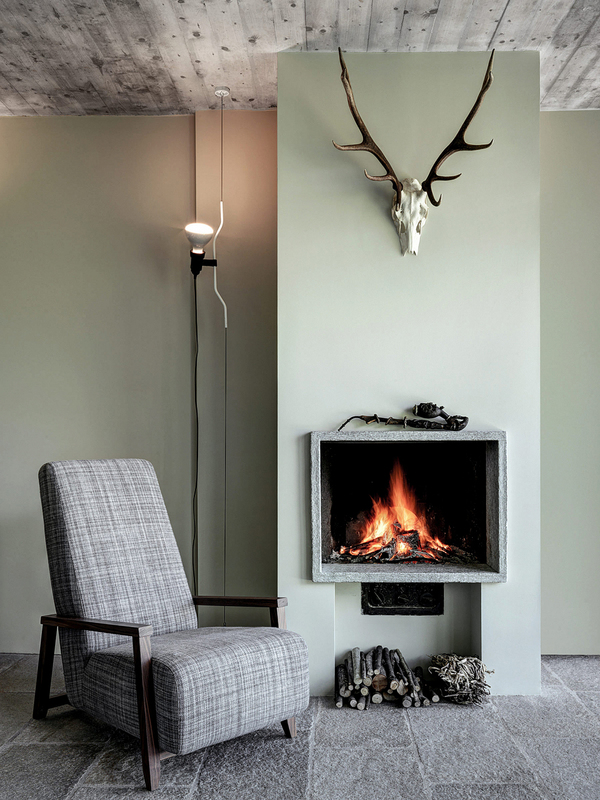 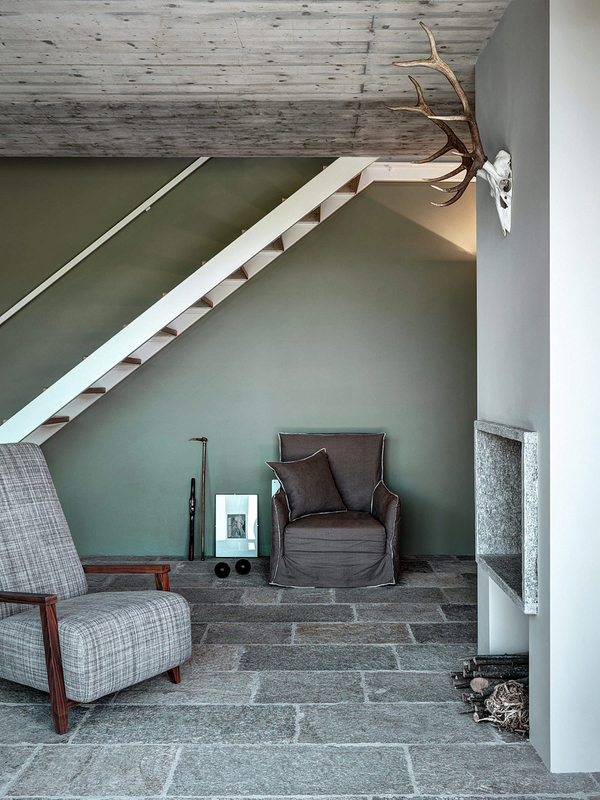 The stone walls are connected by a slab of reinforced concrete, while at the upper level, the use of wood gives the house a rustic look and feel. 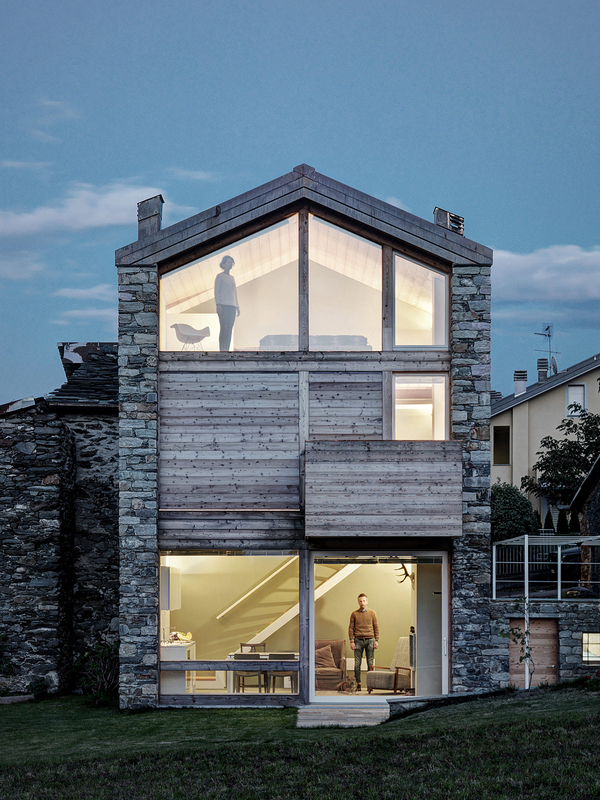 The small footprint of the structure was maximized. 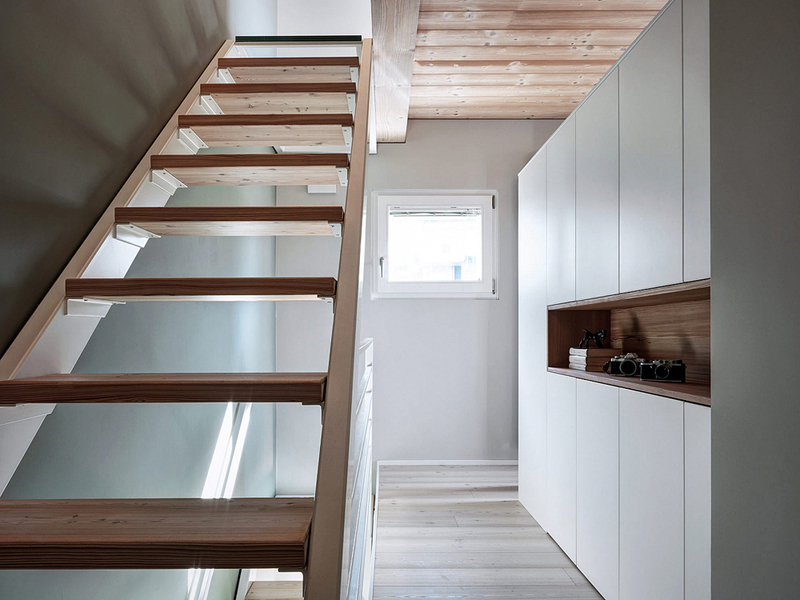 On the ground floor, there’s a kitchen and a cozy living room with a fireplace. 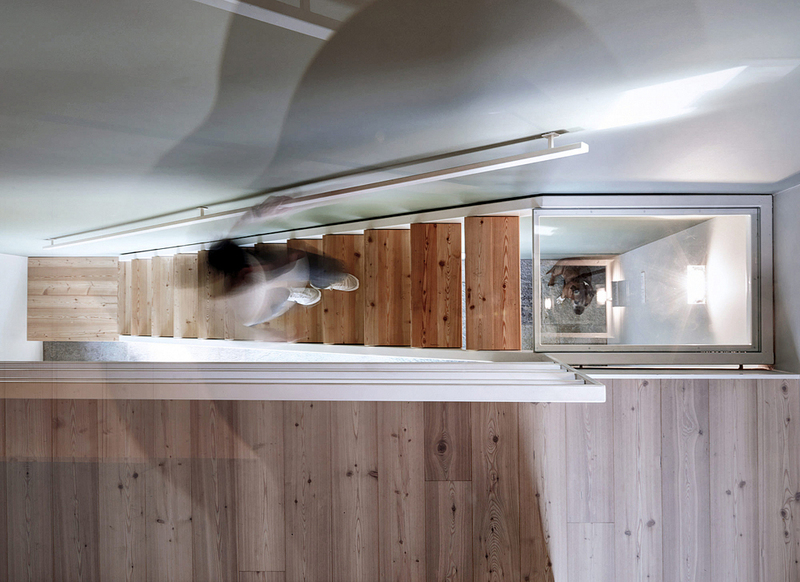 The wooden stairs with transparent landings lead to the first floor that contains a bedroom and bathroom. 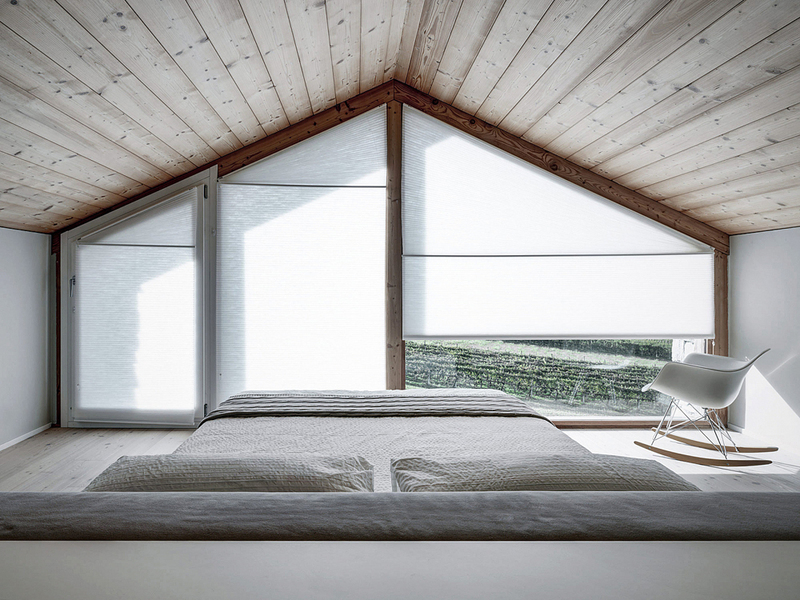 The master bedroom, located on the third level, has the most striking feature of the entire house: a large window, overlooking the countryside and the mountains in the distance. 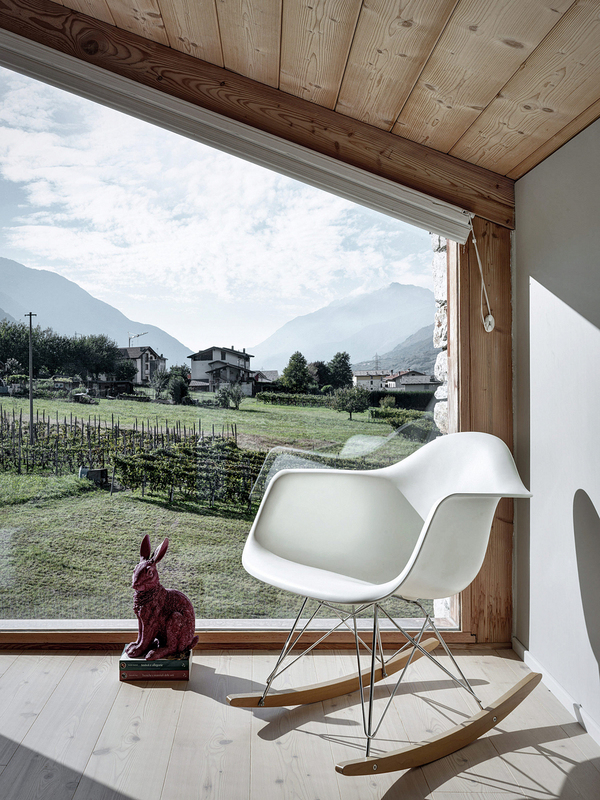 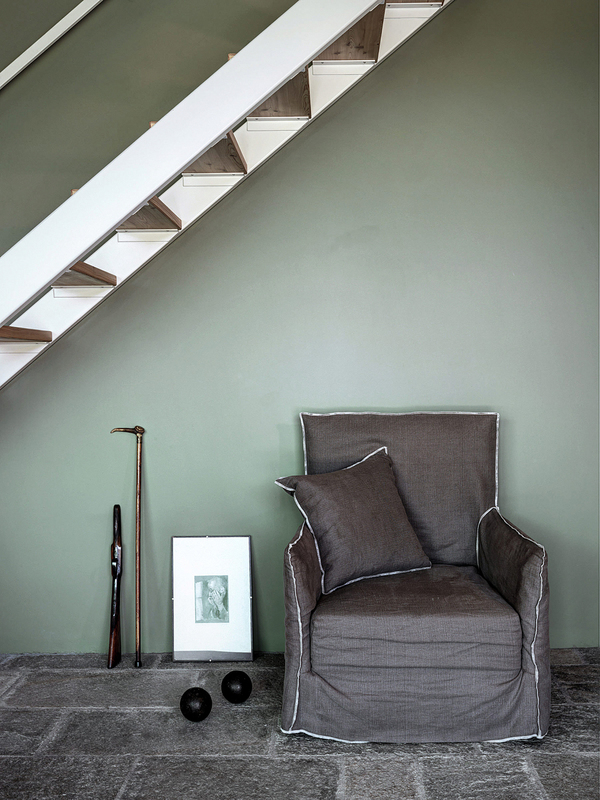 In terms of materials, everything is kept simple and natural. 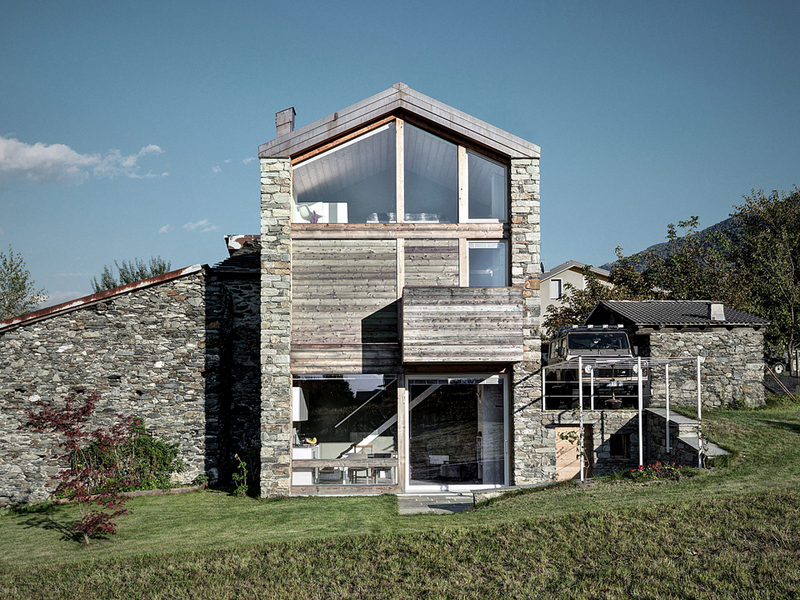 Luserna stone, brushed larch and naturally split local stone are complemented by glass and copper. 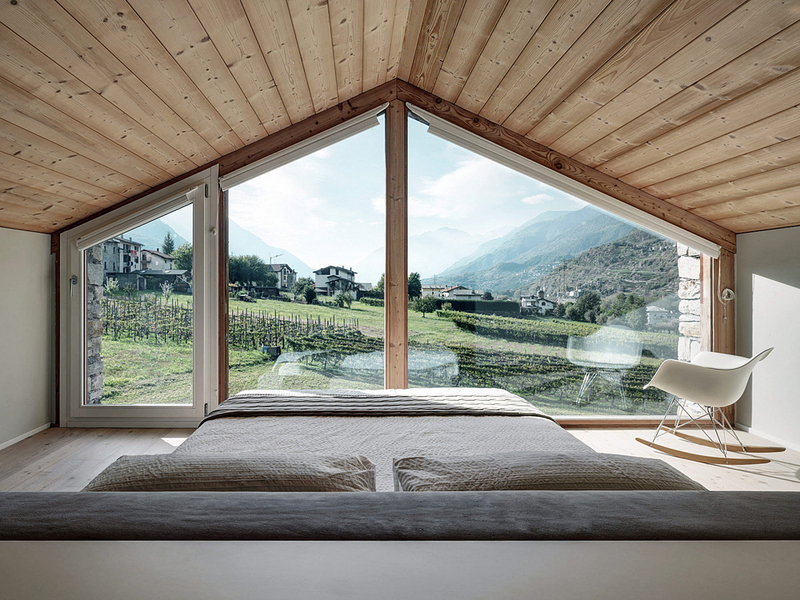 Light floods the entire living space through large windows that establish a dialogue between the interior and the incredible mountainous landscape.